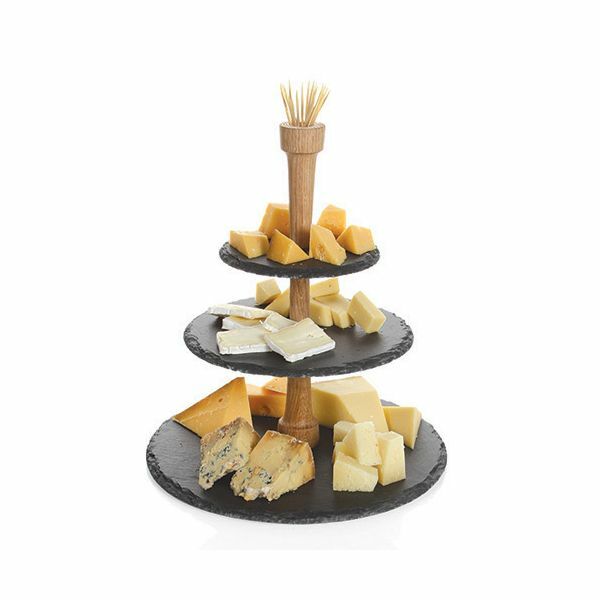 The perfect 3 tiered tower for displaying your cheese and accompaniments, the slate shelves will not absorb bacteria or odours so this makes the perfect display stand for your entertaining. 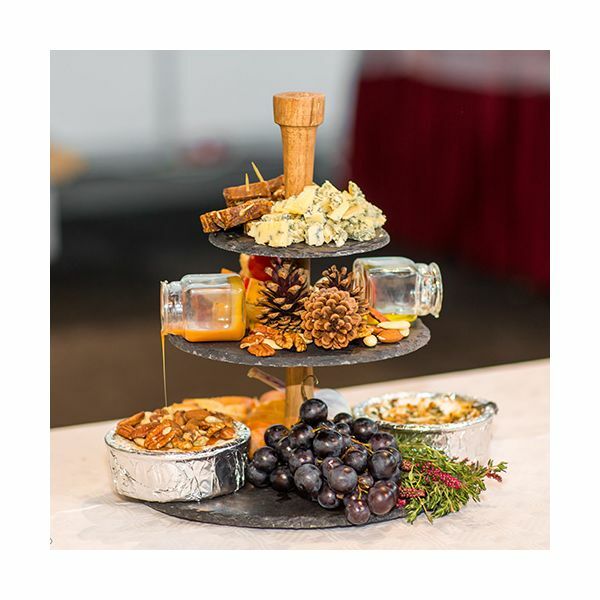 The slate can also be written on with chalk for display purposes. 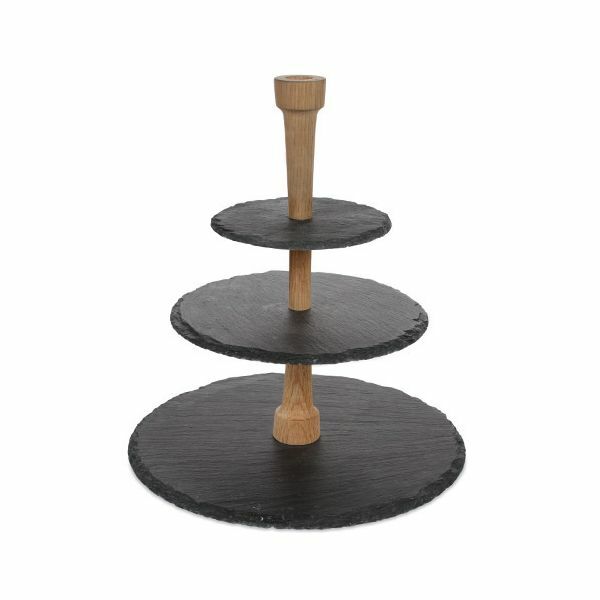 The base features anti-slip feet to avoid movement when serving from the tower.